We just received final approval for the release of Octopus's Garden from Startling Music, Ltd. This pattern is the fourth of six celebrating the golden anniversary of the Beatles’ first televised performance on The Ed Sullivan Show. Although not the last to be released, Abbey Road was the last album the Beatles recorded as a group. Octopus’s Garden is one of the most charming songs included in the album. It was the second song that Ringo Starr had written with the Beatles and some critics say it was his best. I'm going to be humming this song all day! I'm shipping this pattern out to the distributors. Look for it soon. Barb and I are wrapping up here. We leave tomorrow for quilt market. We don't have our own booth this time, we will be in the designer's line-up in the Moda booth. Come by and see us! Hope you are all have a chance to get out and enjoy this lovely autumn weather! Great news for you and for us....love the design. Do you have a way or know a store that will notify me of newly released rug patterns. I don't have a local store to browse and alway miss the rug pattern release. Awesome!!!!!!!! So happy you got it all worked out :-). 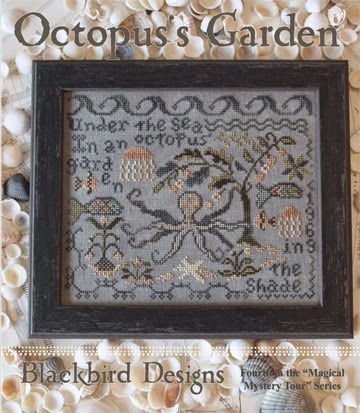 Excited to see this one; can't wait to stitch it! Looking forward to yellow submarine's release, too! do you know when sur last pattern of loose feather (number 12 abc serie) will be available ? Very fun to get to use the song for your pattern. I tried to find your email, but couldn't so I decided to write here. I just finally finished making one of your quilt patterns, the Trick or Treat pattern! It's been a long journey but I am thrilled to have it completed and be able to enjoy my quilt. Here's the link if you'd like to have a look http://quiltyfolk.blogspot.com/2014/10/fall-2014-bloggers-quilt-festival-worry.html. I didn't actually name your pattern in this post (forgot to) but I have at various times throughout the making. It's a beautiful pattern and I always get lots of questions about it. Thanks for making your gorgeous work available to the rest of us. :) Always an inspiration! Congrats to you girls...I'm so glad everything worked out. Smiles and hugs! Great design you do your work with joy and fun .You got huge fan list. Congratulations on the approval of the song! That is so exciting. It was so nice to meet you at the market. I am still not over the fact that I got to see you in person. I will be sending you pictures at a later time. it's such a delightful design! Love your new designs. Have you published #12 of the loose feather charts you started last year. Keep up the good work. Saw Ringo on t.v. last year. I believe it was a show honoring the Beatles. He can dance and dance, while singing as well as ever, at age 70 at the time. I was amazed! I love Autumn rose and have 12 charm pacsks. I am looking for a good pattern for them. Help! I was disappointed that there was no free pattern for this line. Yay! So happy that this got approved! Can't wait!! Awesome Tips. 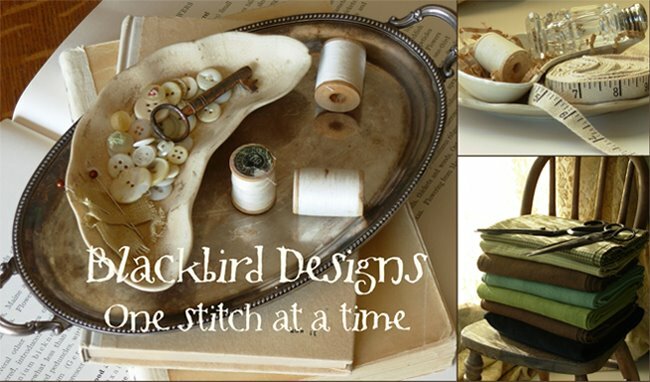 It's always relaxing to see beautiful blackbird designs inside your blog. Makes the blog more comfortable and pleasant to chill out and relax. And with this cool tip, it will make more attractive and elegant. Really Great! Some people are born with a great voice and the natural ability to sing. Singing is no rocket science, with a little practice you can easily teach yourself how to sing. There are several resources you can use to learn singing, both free and paid. A just love this designe! it's a great ideea!